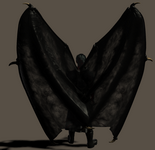 Razorwing is an extreme form of mutant. 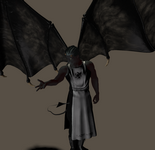 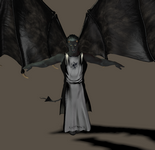 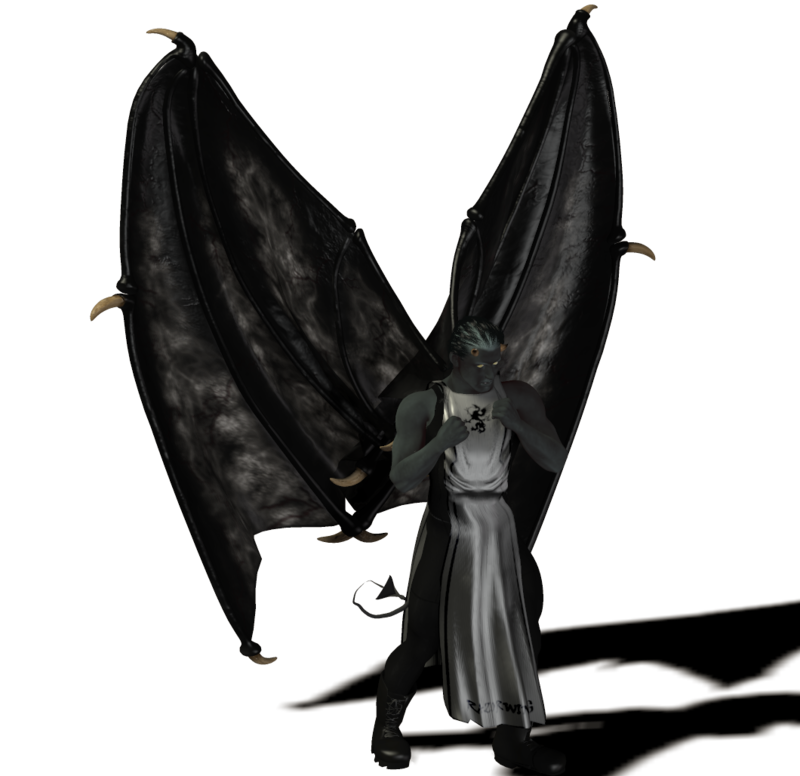 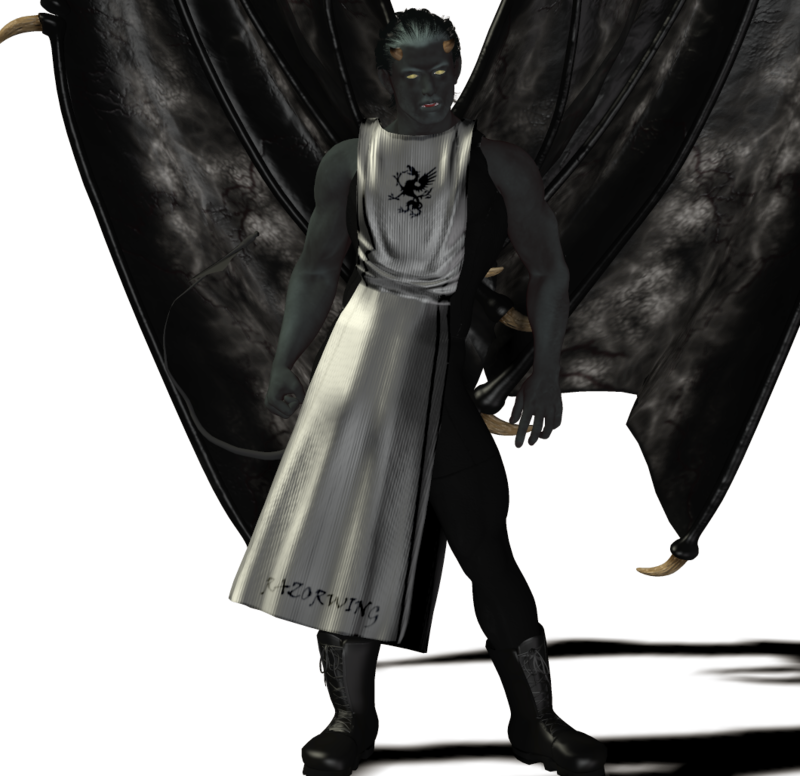 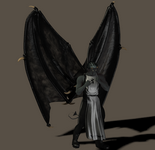 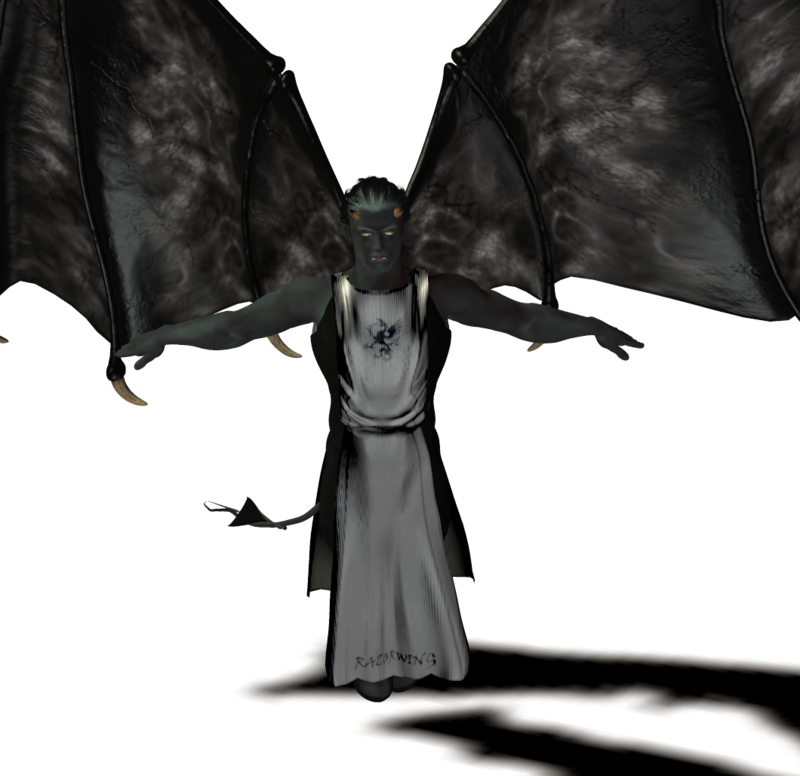 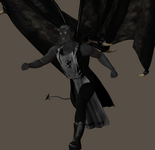 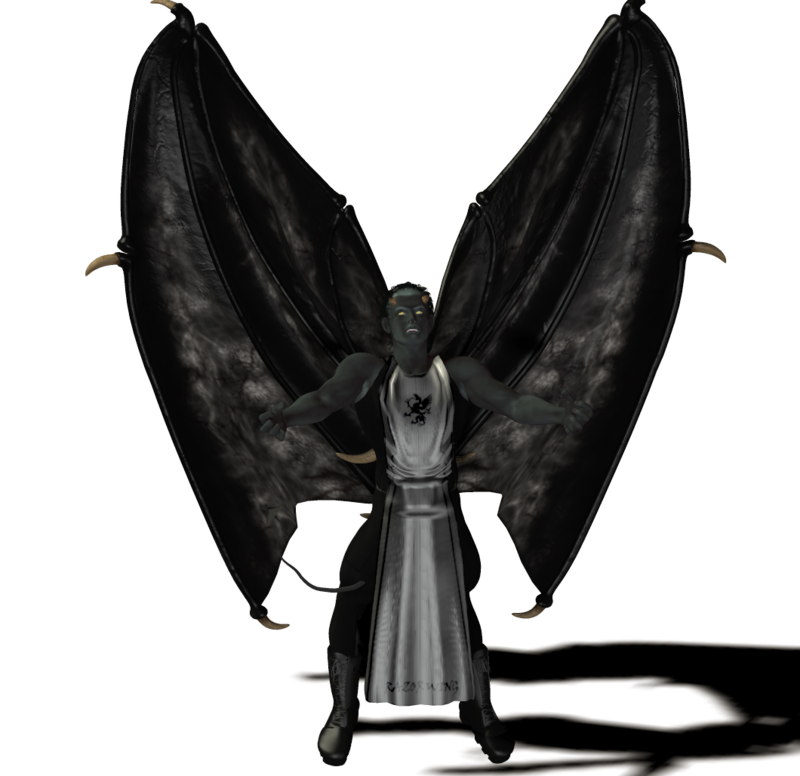 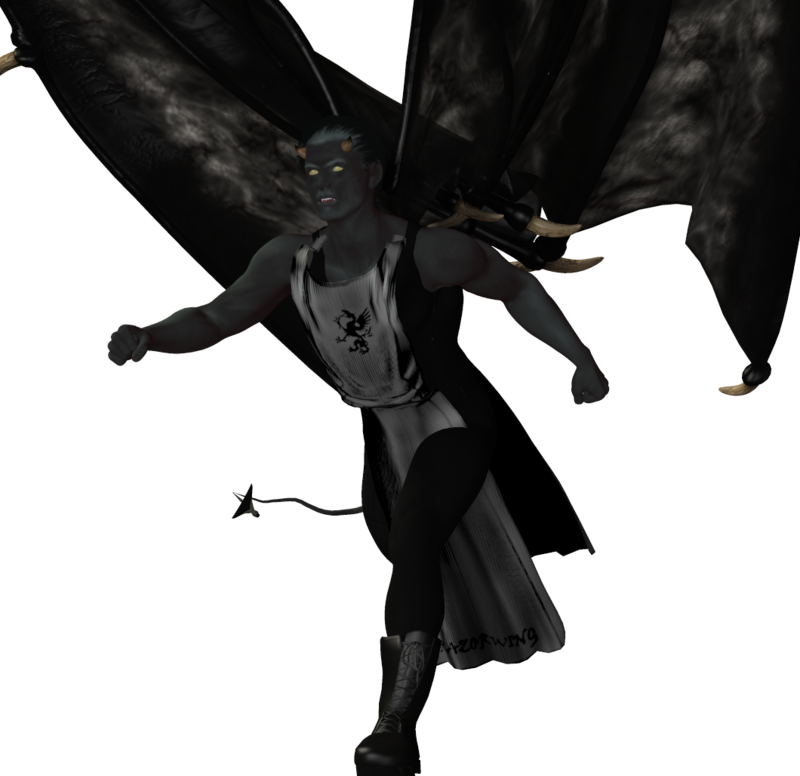 He is 6'1" tall, has blackish-gray skin, black hair with some white in the front, large black wings, horns, fangs, and a tail with a triangular tip. 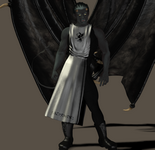 He is not a member of H.E.R.O., and appears to have no interest in becoming one. 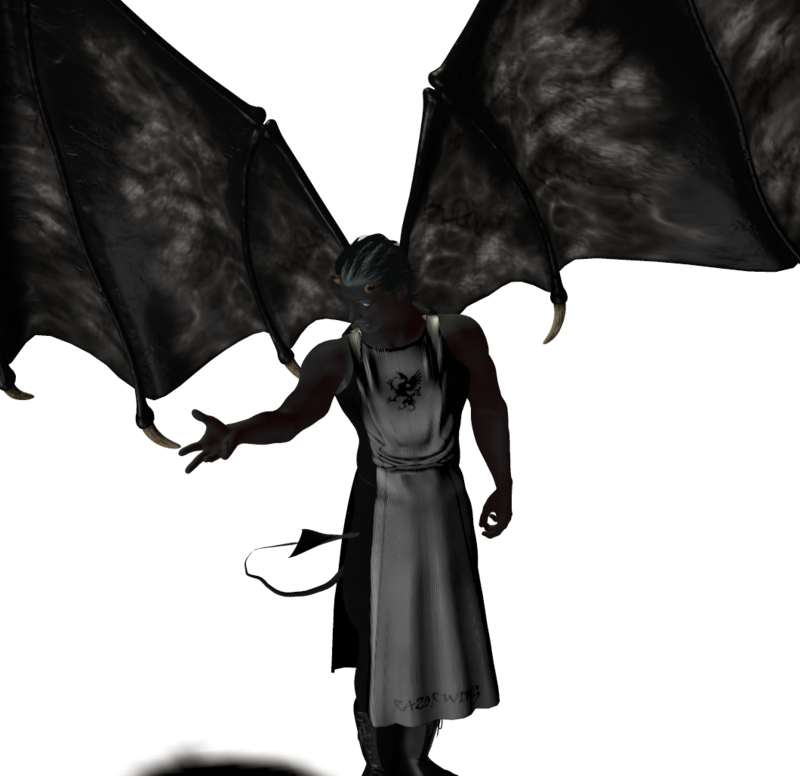 It is unknown how he obtains any funds, as he looks so demonic as to have difficulty holding a normal career position. 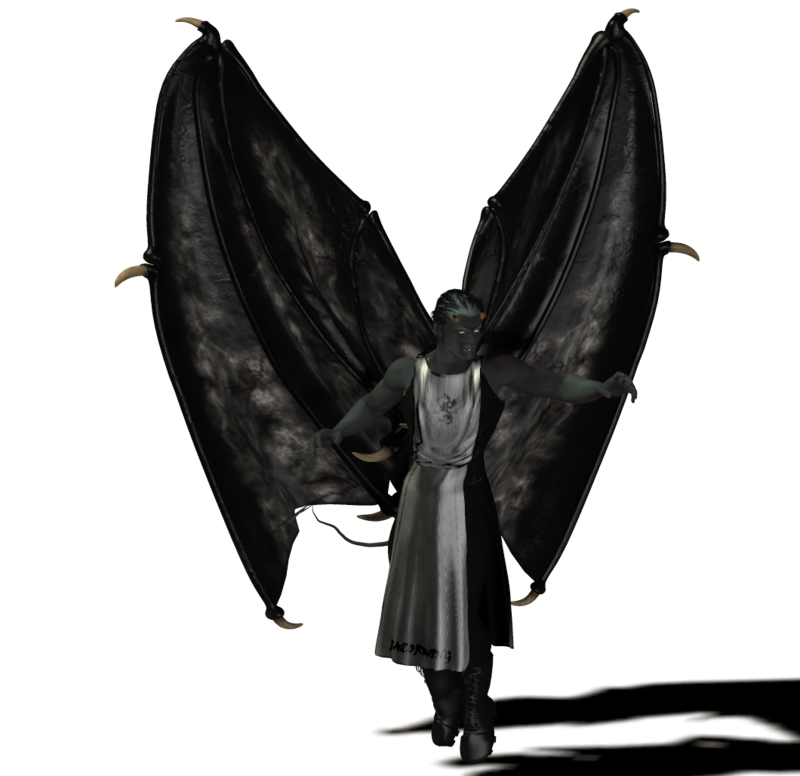 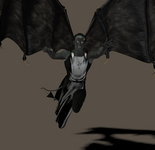 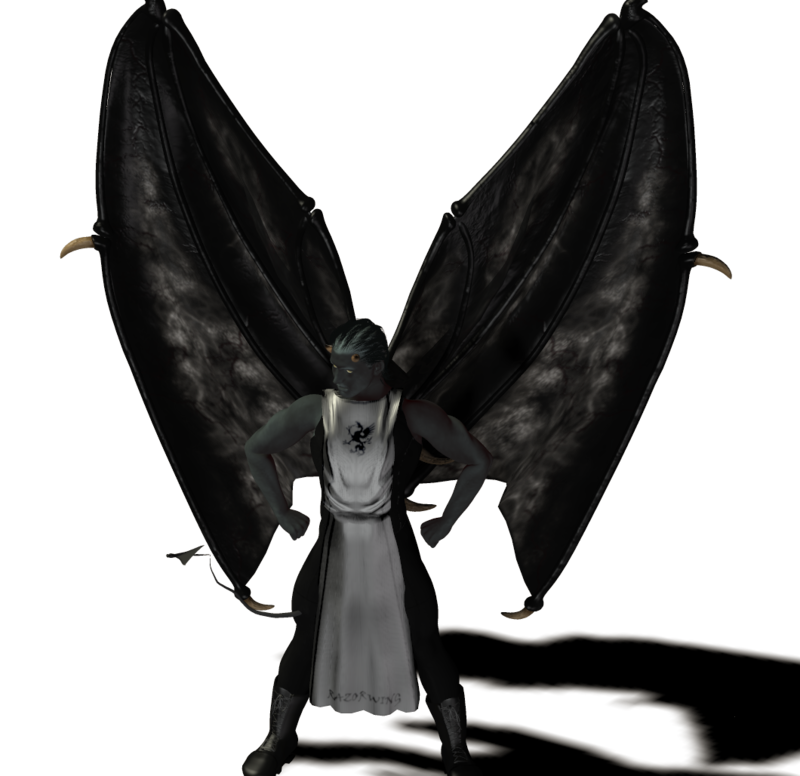 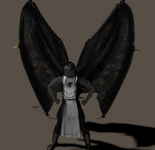 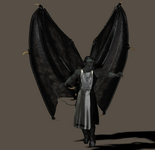 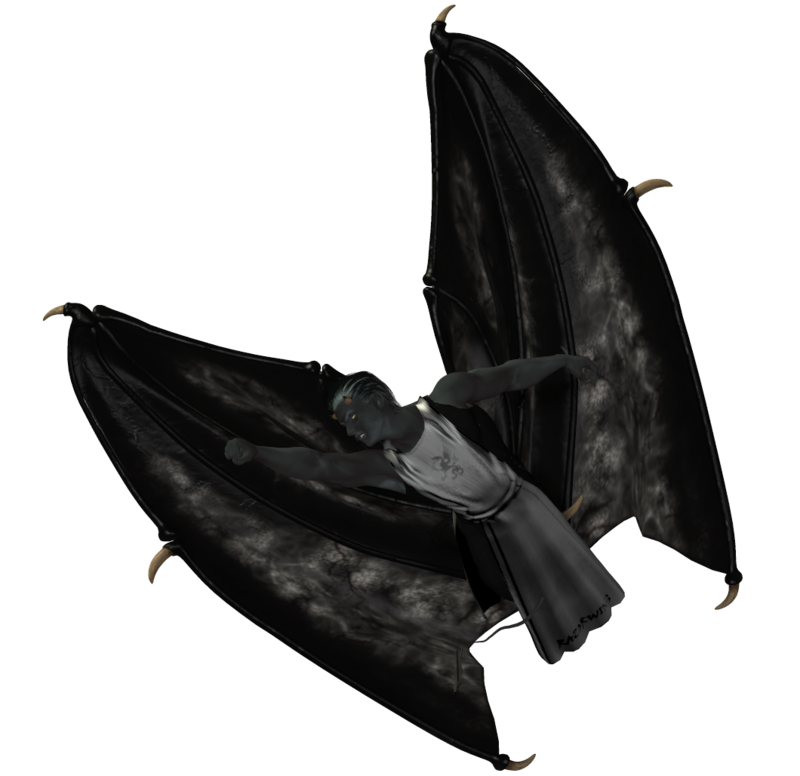 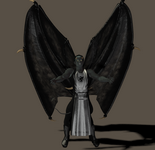 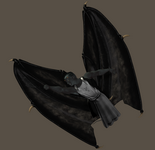 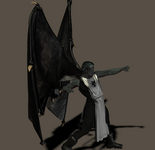 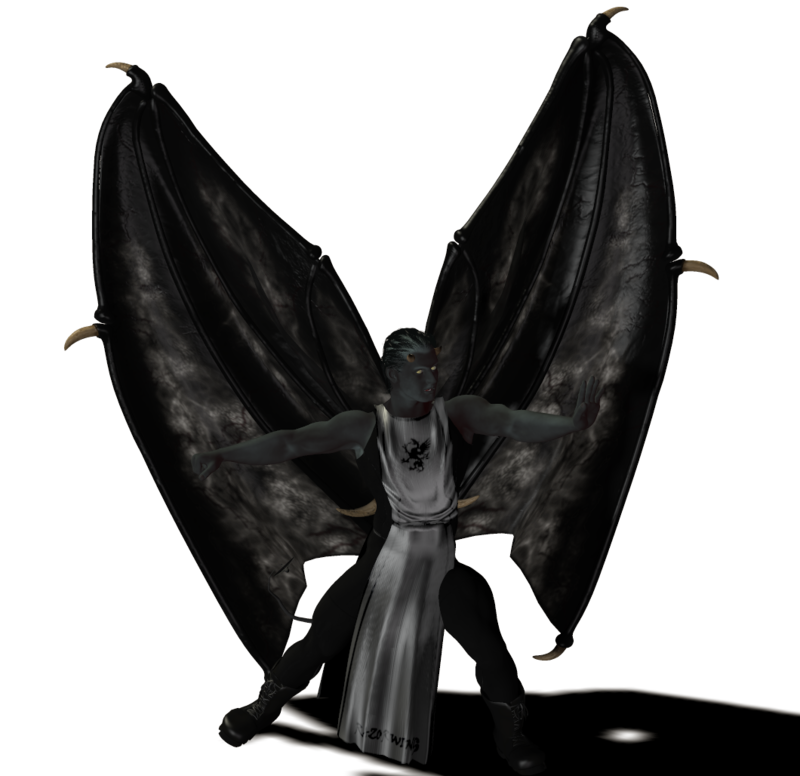 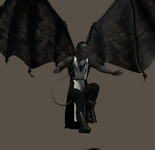 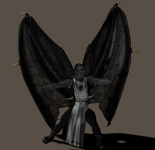 Razorwing's unusual mutant abilities include flight (via the wings), as well as significant armor properties on his skin and wings. 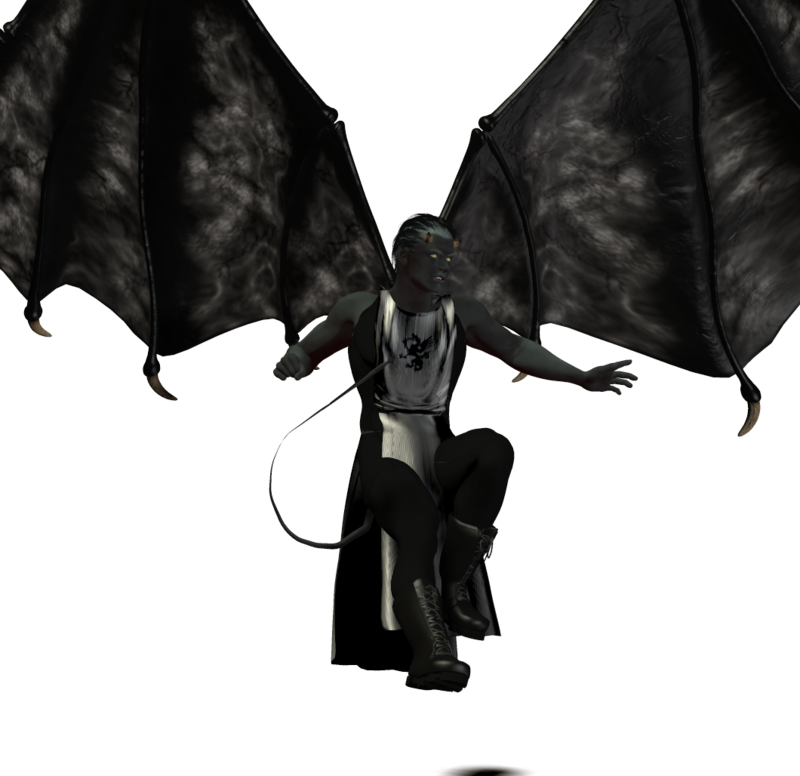 He is able to lift more than most mutants. 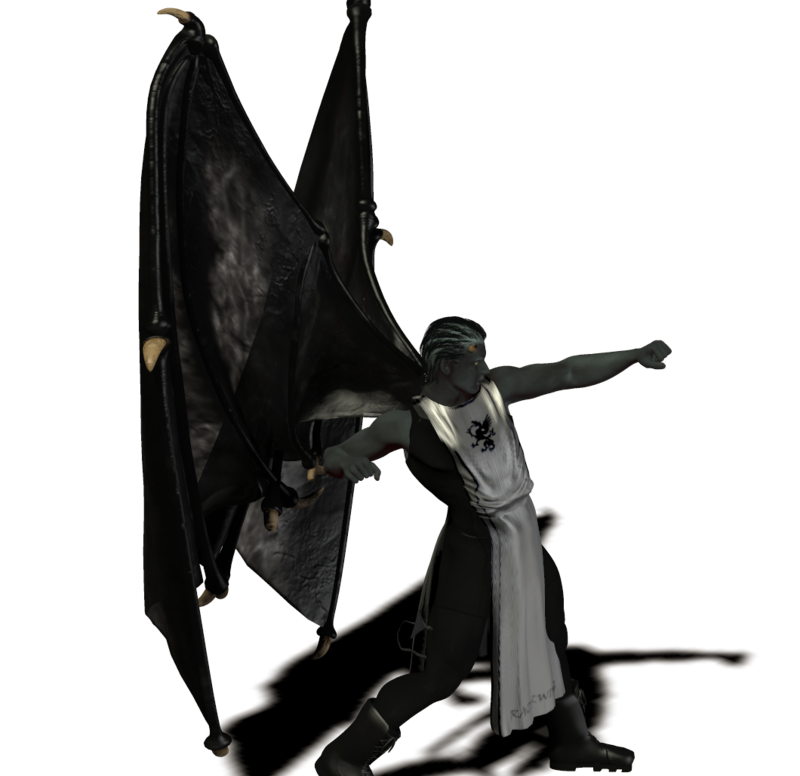 He appears to be well trained in physical combat. 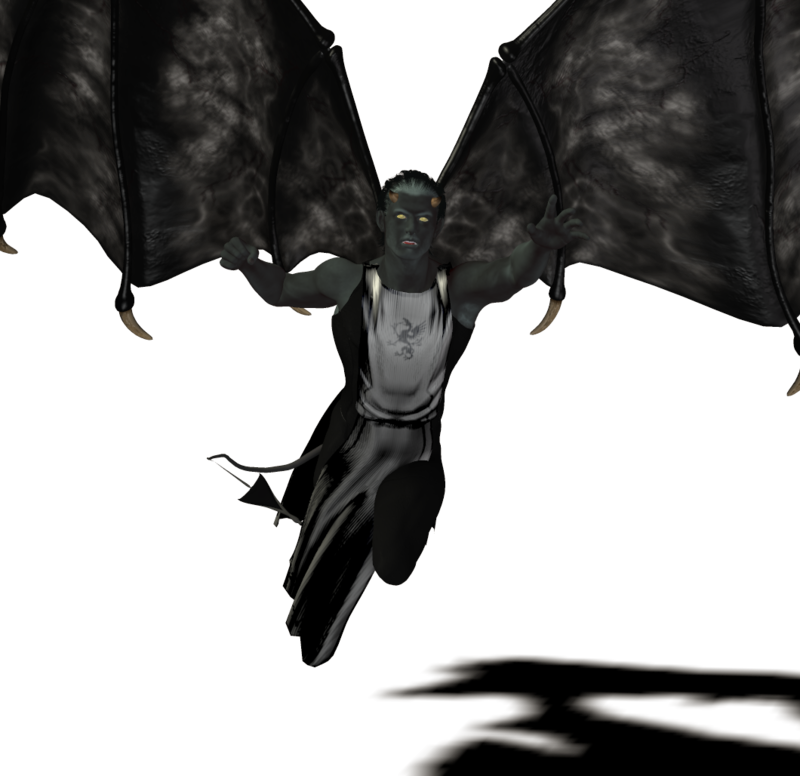 Razorwing first appeared in H.E.R.O. 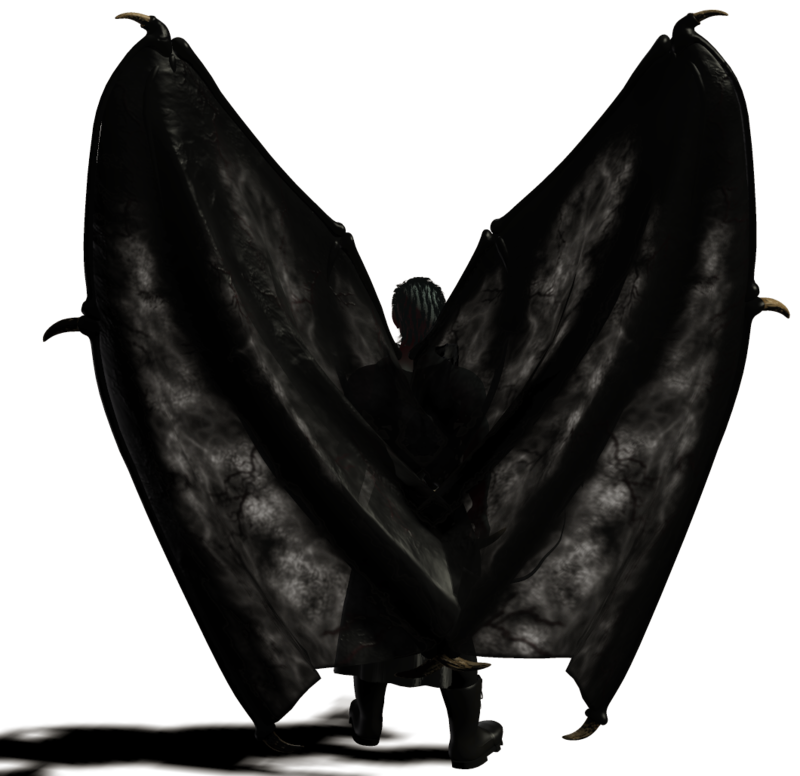 - Rise and Fall.